Half Up/Half Down hairstyles don’t have to be the same old thing every day. There are plenty of creative ways to switch up the styles and put some new twist to a few classic options. Check out our 15 favorites below! Part a small rectangular shape at the top of your head then separate that top part in two down the middle. 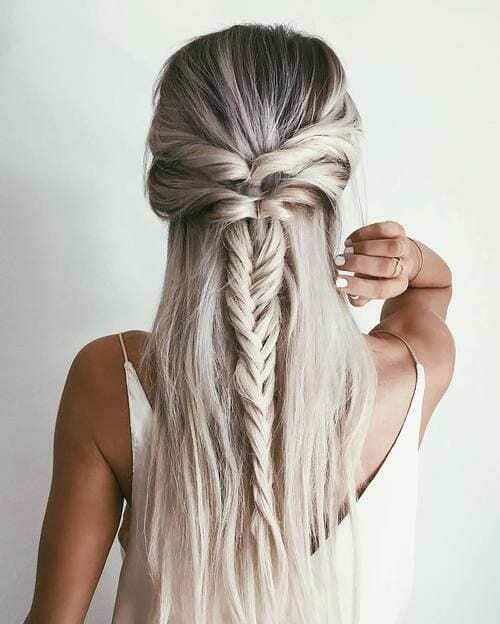 make two braids at the top then wrap the ends in a loose bun. This adorable rose bun can be achieved by creating some strategic twists and turns and securing with hairpins. A new and interesting twist to the space bun trend, but this time instead of pulling your entire hair up into two buns you’ll leave some out at the bottom. This is the perfect half up/half down hairstyle for a wedding or a swanky soiree. Probably my favorite in the bunch and it’s such a rocker chic sort of vibe. 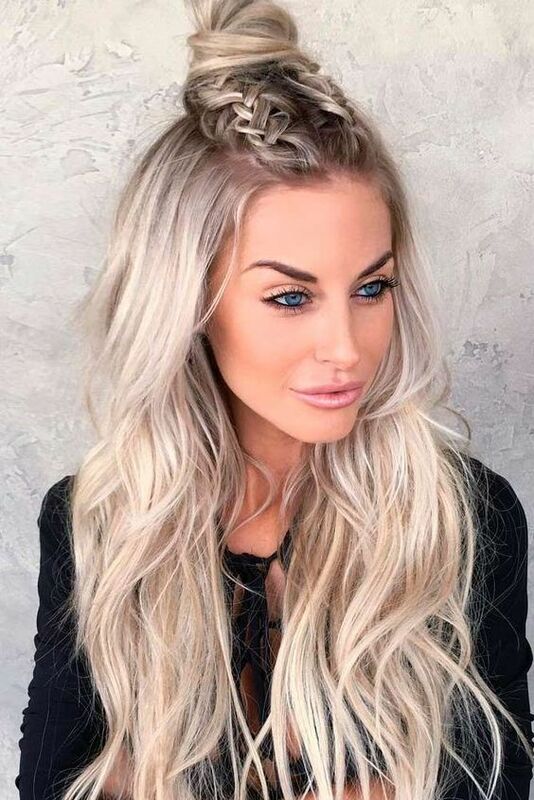 This edgy half up/half down hairstyles is so beautiful but if you can pull it off, I say go for it! This one requires freshly washed hair then sleeked down with a flatiron. Separate two small sections at the front of your hair and twist them and secure them at the back with a hairpin. Tie a cute bow like this one to spruce up the style. Create three tiny buns using hairpins and a few elastic bands. Create loose barrel curls with a large curling iron then pin the top part of your hair and create a topknot. Secure the top half with an elastic band then plait the lose end and pin it under with a hairpin. Separate two sections at the front and plait both into fishtail braids. Then where they meet in the middle continue into one large fishtail braid. 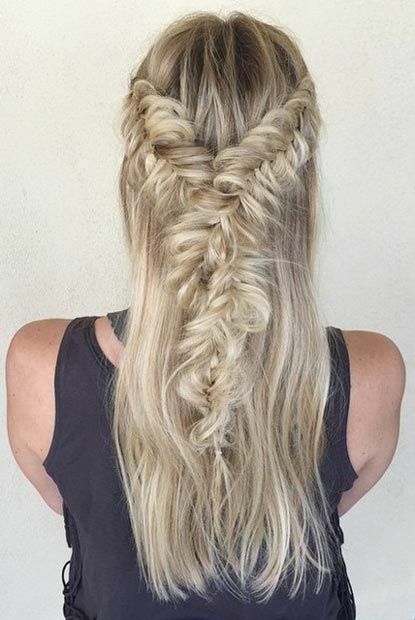 There’s a lot going on with this gypsy style do; plaits, curls, a bun, highlights..everything!